Plan a new campaign, track an existing one, and collaborate with your team on everything from documents to killer taglines. You can do it all in Glip. 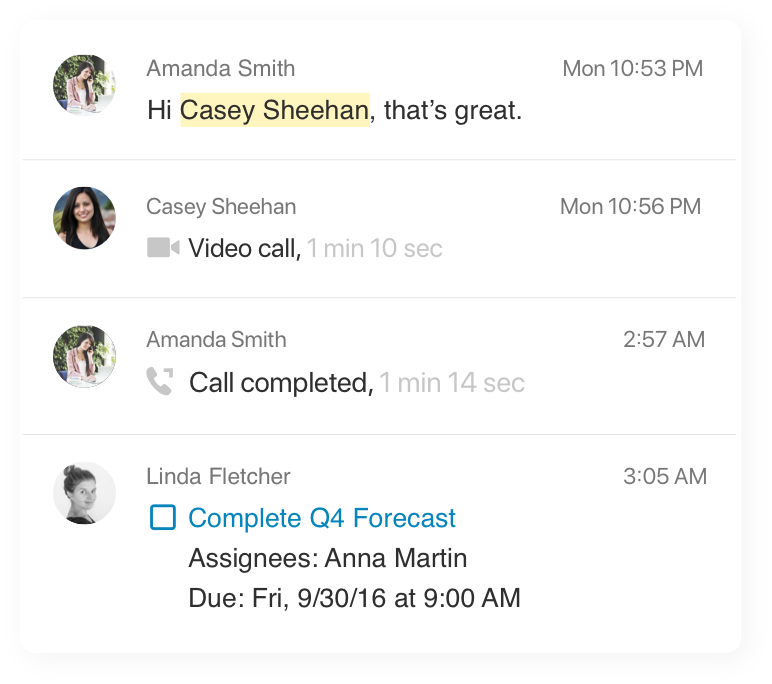 Think of Glip team messaging in the RingCentral app as your marketing team’s collaboration home base. Just pop Glip open… and get stuff done. Pull alerts from other apps. 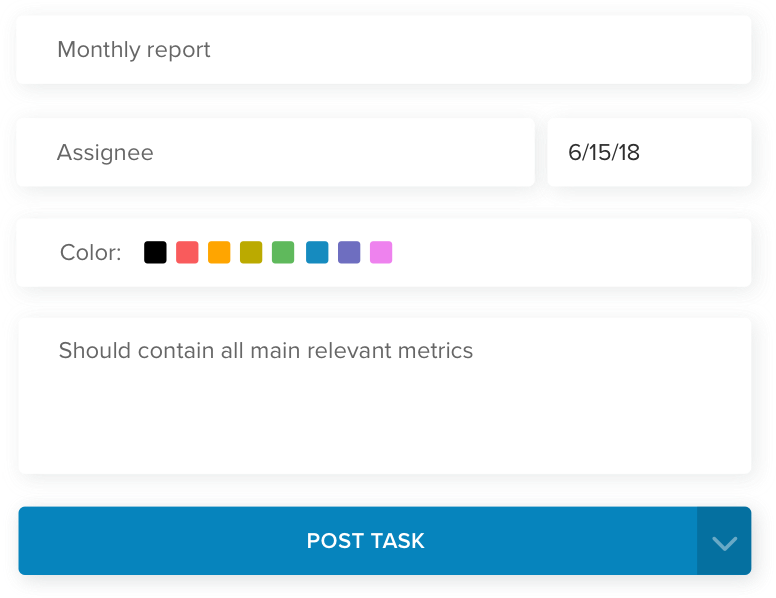 Whether you need the green light from your team on a marketing deliverable or you just want everyone’s thoughts on a new color scheme, Glip lets you upload any file—document, image, video—and lets everyone annotate it with their comments. With Glip, you can create as many teams as you’d like and chat with them as often as you want. Use your unlimited chats to brainstorm, share campaign results, or just to send a coworker a happy-face emoji. Who says real-time chat and collaboration are only for coworkers? Not Glip! 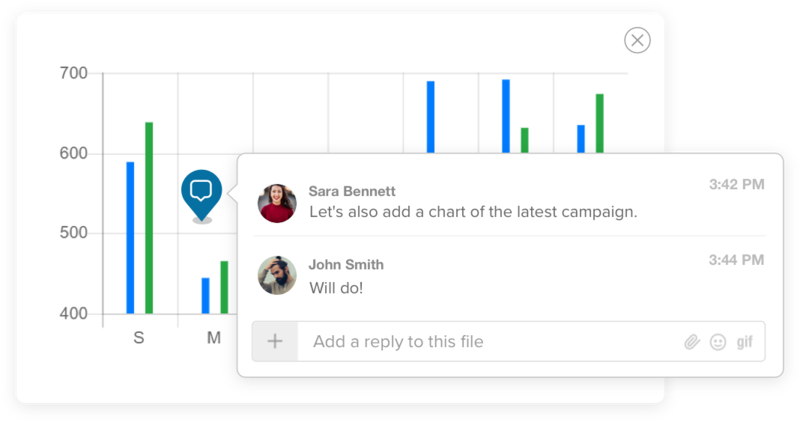 Use the guest-users feature to set up real-time chats with customers or focus-group users, or to share plans and track progress with your partners and vendors. Sometimes a text chat just won’t do—you need a face-to-face with your team. 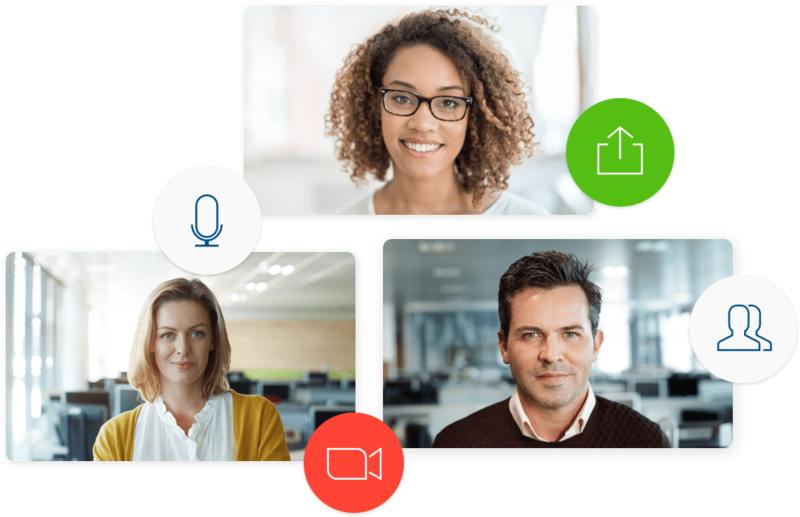 With Glip, you can launch a video call with a single click. You and your teammates can even share your screens to ensure everyone is on the same page. Your marketing campaigns don’t shut down just because you’ve left the office. But with the RingCentral desktop and mobile apps, you can collaborate with your team, grab and work on key files, and manage your team’s tasks from any device. When a Glip chat leaves you thinking, “We should turn that idea into a task,” no problem. Just click the “New Task” button, give the task a name, and assign it. You can even color-code it so it’s easier to find on your Glip team calendar. When you’re collaborating with your team in Glip, you don’t want to keep leaving to check on your campaign updates from Marketo or MailChimp or to see the latest user data from your Go Squared or Datadog accounts. The great news is Glip integrates with all of those apps—and dozens more—so you can pull those notifications and alerts right into your Glip conversations. Easily pull any document, image, or other file stored in your Google Drive account right into Glip to share with your team. Keep your team up to date on your email campaigns, without ever having to leave Glip. Want to know when your marketing emails have been delivered? Want an alert every time a user clicks “Subscribe”? You can pull those alerts into any Glip team you choose. You can share email messages with your Glip team by sending it to that Glip conversation’s unique email address. You can even include the email attachments. Never miss an important meeting. Pull events and notifications from your favorite calendar app, Google Calendar™, Outlook®, or iCal®, right into your Glip chats.